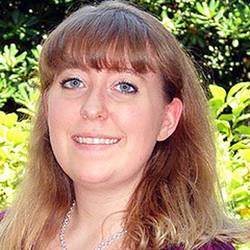 Stephanie A. Maddox, PhD, is a research fellow in the Ressler Lab, where she is actively investigating the molecular and epigenetic mechanisms which underlie the formation of aversive fear memories. After completing a Bachelor of Science in Experimental Psychology at the University of South Carolina, Stephanie received her PhD in Psychology, as well as a Master of Science and a Master of Philosophy, from Yale University in New Haven, Connecticut. She began her fellowship in the Ressler Lab at Emory University before moving with the lab to McLean Hospital. Stephanie's research employs a combination of behavioral, pharmacological, and molecular manipulations to uncover the neurobiological underpinnings of fear memory formation and those mechanisms which are also critical for the alleviation or extinction of these memories. She hopes that her research will inform the development of novel treatment avenues to treat fear and anxiety disorders, including post-traumatic stress disorder (PTSD).